These Schmit ballpoint pen refills are the common 'G2' - 'Parker style' shape refill used by many manufacturers and widely adopted across the industry. Available in 7 ink colours and in fine and medium width, although not all colours are available in both widths. 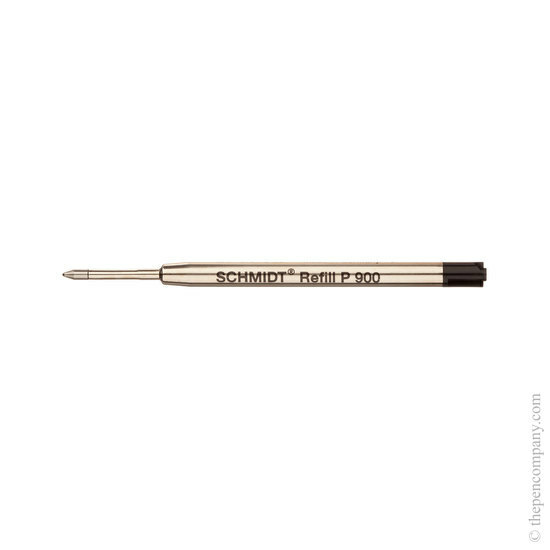 This refill is a high quality, German made product which will serve as an appropriate (superior in some instances) substitute for 'own brand' refills found in many ball point pens. First class service delivered as promised. I bought a selection of colours (shame they're not all available in fine as I much prefer that to medium). Happy with all but the purple one, which is difficult to differentiate from blue. They seem good value for money as compared to the other brand. Just hope they don't run out too quickly. Works exactly the same as the branded product at a fraction of the cost. Very Happy with product and service from The Pen Company. Yes, this refill is identical to a Parker ballpoint refill - they are made to the same standard "G2" shape - so will fit a Parker Jotter pen.